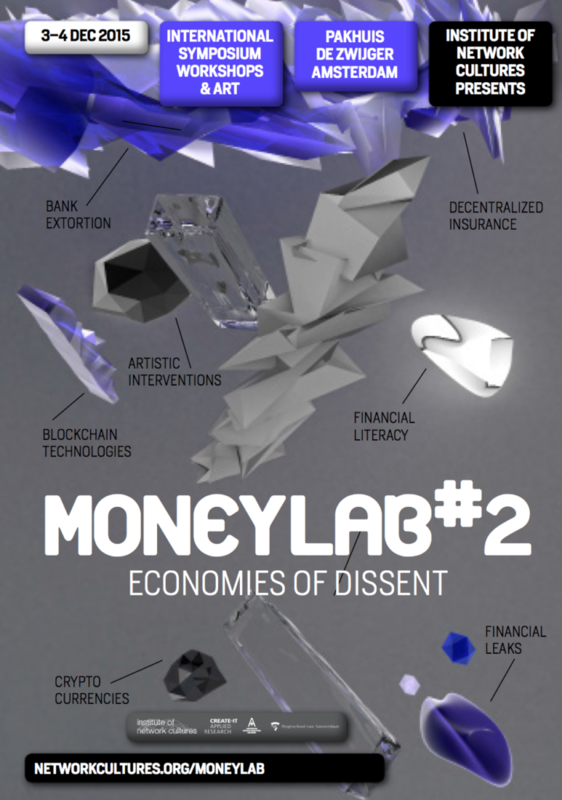 MoneyLab #2 Economies of Dissent. A two day symposium of talks, workshops, performances and parties that conquer the assumption that anything is too big to fail. 3-4 December 2015, Amsterdam.